This brief guide outlines key principles for quantifying greenhouse gas (GHG) emissions in transport and gives hints for further reading. GIZ on behalf of the German Federal Ministry for Environment, Nature Conservation and Nuclear Safety has been supporting its partners in measuring, reporting and verifying (MRV) emissions for many years. 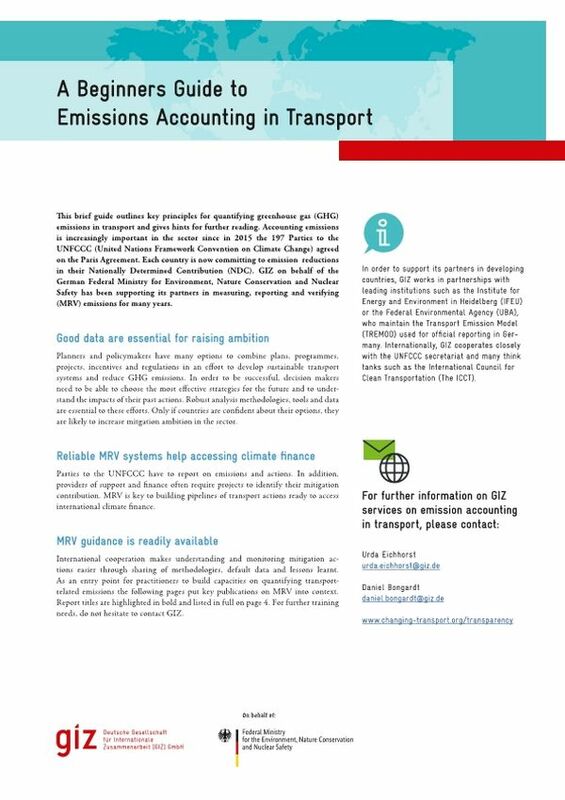 The guide lists publications and tools on accounting, monitoring and reporting transport-related greenhouse gas emissions developed by GIZ in cooperation with knowledge partners.